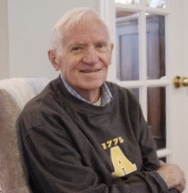 Major Lon Jordan Allen, Retired US Army, 87, of Overland Park, KS, passed away peacefully at his home on August 13th, 2018. He was born June 9, 1931 in Wimberley, TX to Edna Adare Allen and Oscar J. Allen. After the death of his wife Jeaneda in 1991, he moved to Overland Park where he met and married Patricia Rust Allen on August 12th, 1994. Her family became his family too. Four days after the marriage, the first grandson was born and three weeks later the second. Lon and Tricia embarked on their lifelong journey to become the world’s greatest grandparents. In another year and a half they were blessed with two more grandsons. Later on they added 11 more grandchildren who were all loved so much. Lon had a full and wonderful life after spending his boyhood with his family of five brothers and one sister in the beautiful Hill Country of Texas, he enlisted in the service at age 15 by using his brother’s ID. He lived in or visited many areas of the world while in the service. There was a hardly a country that he hadn’t been to. The Army also sent him to college and he received a BS in Meteorology from The University of Utah. He had a long career in the Army retiring in 1969 as a Major. Soon after he was called back to go to Vietnam for his second tour. It was there that he adopted his daughter, Janelle. After his second retirement from the Army he started several businesses from a brush company to an auditing business. Lon is survived by his wife, Patricia Rust Allen; daughter Janelle Harris-Downey (Mark Downey); two stepdaughters Susan (Gary) Shartzer, Sara Worley (Mark Coleman), and stepson Ward (Meghan) Worley. Also surviving him are his beloved grandchildren, Coleman Harris, Caiden Downey; Alex, Evan and Ellie Shartzer; Matt and Weston Worley, Skylar Helm, Carson, Max and Will Orchard; Jack, Michaela, Will and Drew Coleman, his two brothers Frank (Ann) Allen and “Itchy” Allen of Wimberley, TX. The celebration of life will be at The Tuileries Clubhouse (10801 Glenwood, Overland Park, KS) on Sunday, August 19th. Visitation at 1pm, services begin at 2pm with reception following. It was an honor to have served under Major (then Lieutenant ) Allen 1959-63 in the US Army Signal Corp Met Team . He was a really fine person to know and serve with . So sad to hear. Sending prayers and hugs.